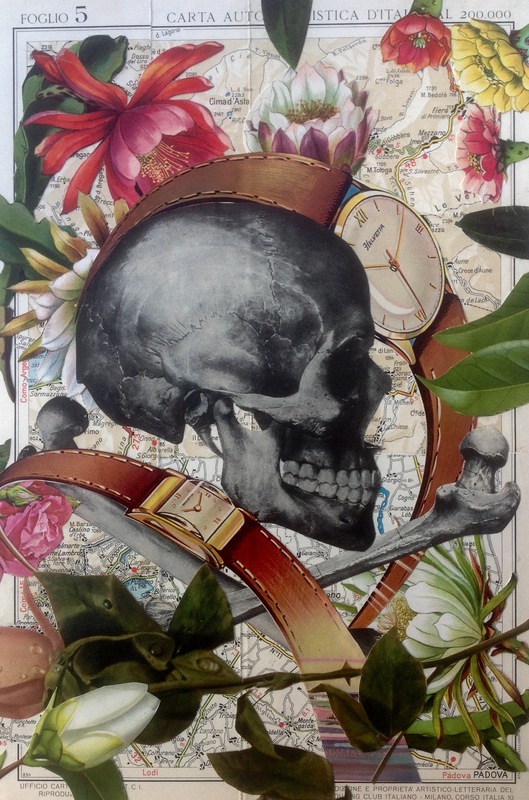 Working on vanitas collages. This is the first one and more are following the next weeks. The collage is made on 425 grams paper and the background is an old map of Italy and the watches are from the brand Helvetia. That explains the title of the collage (20x30cm/8x12inch). All material used are probably from the fifties or earlier.